Understanding the power of Facebook is key for any nonprofit with a social presence, as the most widely used social site in the world. 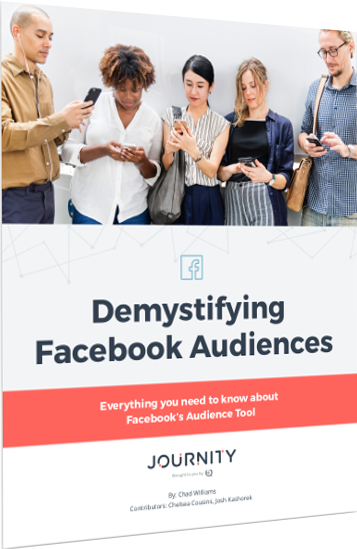 Facebook is a powerhouse platform for business folks and nonprofit marketers alike and we cover it all in our newest guide, Demystifying Facebook Audiences. In this guide, we help you navigate the Facebook audience tool, equip you with the best practices, provide easy step-by-step instructions and “pro tips,” all while reinforcing how Facebook advertising can further your mission. Well-recognized nonprofits have successfully raised funds and empowered people around the world by mastering Facebook’s audience tool.